Have you ever imagine our real world become a virtual? Moreover, try to imagine that you can test your business intentions in the virtual world before making them real. Pokemon Go was the best example of virtual gaming: people were looking for Pikachu in the backyard of their own houses and in the nearest supermarket (and in the shops across city); crowds of players in search of a rare Pokemon could be found in the Central Park of New York and on the beach of Copacabana, and elsewhere. The game captivated all corners of the planet and, incidentally, the hearts of millions. Now, a new explosion is expected: the Swiss company Dotcom Ventures Holding AG have launched an ICO for Worldopoly mobile game, that threatens to turn the whole world into an Monopoly’s game field. Next step, we will tell you how to buy an entire city, avoid virtual bankruptcy and earn real money. Worldopoly is a Real Estate simulation Mobile game which opens to you an incredible opportunities of Augmented Reality, Blockchain and Artificial Intelligence world. Following our mission, we strive to create a memorable, fun, interactive game that engages, delights experienced and new players worldwide. A game that allows players to learn how cryptocurrencies work in a safe environment, with the option to invest and earn real money. We also aim to add value to the gaming community and our backers in a way that extends beyond mobile gaming by sharing our ICO journey, entrepreneurial successes, learning curve and insights. 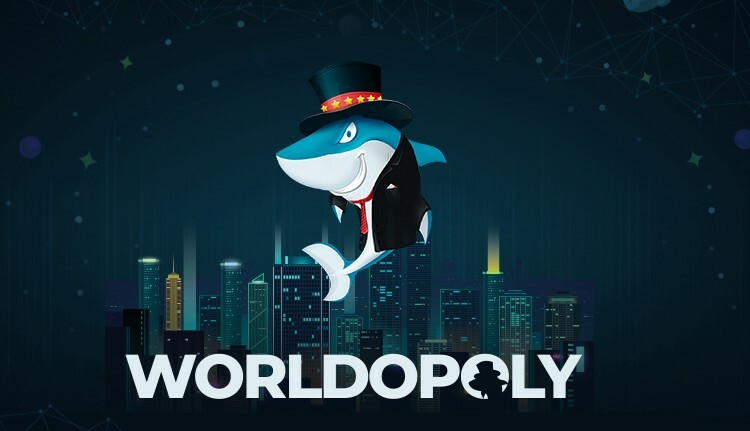 Hence a such economic simulation game like Worldopoly will help players to experience and learn a key foundations of Management, Marketing & Advertising, how to build a strong team or how to become an essential part of it, etc. The main thing, that you can learn and practice such Business skills and enjoy the game at the same time. AR-based mobile apps force to spend time in the game like no one other. Game space here is the whole city and such a gameplay makes players build relationships both online and offline. Worldopoly reminds everyone “Monopoly”: you can buy streets and buildings, cooperate with other players and earn money. As in “Monopoly”, players try to possess as many locations as possible. It depends on how many buildings you can buy, develop and then sell to take advantage. Each building can be improved and can bring additional income. Thanks to the AR technology, the player sees how the business grows and expands. For example, it is possible to build the Eiffel Tower in the center of Moscow or purchase hotel chain on the best streets of London. Each city can be a game field: Worldopoly works with Google Maps and it means that users have access to the streets and places of interest within the whole world. However, if player wants to build his real estate empire in a highly demanded place (i.e., in the center of New York), he needs to invest a lot of money to buy other people’s streets and destroy someone’s plans thereby. Players will be able to create and join clans to build and buy large objects together, building them faster. AR technology allows change of the real world’s existing shape by adding new components into the landscape. For example, you can buy your own house and sell a place for virtual advertising on it to get extra profit. In Wordopoly, advertising banners can be placed almost everywhere. Is there’s a real money to play? There are three currencies in Worldopoly’s game concept: gold, coins and Worldopoly Token (WPT). WPT is cryptocurrency based on Ethereum platform (ERC20 token standard); gold and coins are in-game options only. You can buy and improve buildings for coins; gold can help you to improve the speed of building. But the most interesting currency, of course, is WPT. For example, you bought building, opera house or something else you want to imagine. It starts bringing income immediately. This is real income, which can be exchanged for tokens and then withdrawn from the game to your wallet. Basically, 1 WPT equals $0.12. The more buildings you have in the asset, the biggest profit your empire provides: everything like in real life. Thanks to Blockchain the game’s economy allows you to use your virtual achievements like real things, transparently monitoring all the stuff and not have to care about security or transparency issues. Obtaining WPT in the game can be compared to mining in the real world, as an alternative to virtual proof of work. The monetary potential of Worldopoly ensures that users really are immersed in a parallel universe. Worldopoly array of features combined gives to the game a competitive edge. Today, the game is at the presale stage of its ICO. The initial investment of €1.5M already been made for the prototype development and ICO launch. Thus, $18M is needed to fully implement the project to the market including development and marketing costs. ICO will end in July 2018 and Worldopoly will be available to download on App Store and Google Play in November. Also, there are Bounty and Airdrop campaigns running the same time as ICO: everyone can be rewarded with tokens for helping with the project development and/or its advertising. Simultaneously with the game launch, it will be possible to place advertising messages on your own buildings in the game to get more money. The game will continue to be enriched with new features even after release. Now, our team is working on technical part and the game mechanics. They test artificial intelligence, add objects to the map and develop the system of mutual influence of objects and players. By 2020, it is planned to create a whole civilization, where everyone will have the opportunity to manage their own city with their currency and infrastructure. At the same time, Worldopoly is only one of the points of Dotcom Ventures Holding AG global developing plan. In the future, it is planned to create a network of multiplayer blockchain-based games, each of which will have its own real cryptocurrency. According to the idea, the cryptocurrencies can be exchanged among themselves, where everyone can use funds at own discretion in all games at the same time. At the moment, we are open for new partnerships. The company’s main focus is on this project and we strongly believe that only together we can build amazing things. Join us and become a part of the future changing project. Thanks for your time. GL & HF!